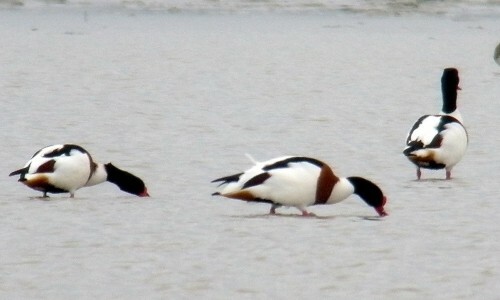 Record number of Shelduck have appeared this year in early spring on the Böddi-szék. In the frame of the ornithological monitoring of the project we recorded eighty individuals. Currently, the lake bed is almost filled by water, which creates ideal conditions for waterbirds. Several hundred flocks of ducks and geese are resting on the place, which is a very spectacular natural event. Due to the winter precipitation, huge area is covered with water. Many waterbirds have appeared during the spring migration. 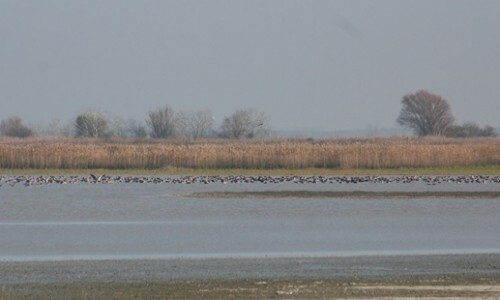 Flocks of Greater White-fronted Goose (Anser albifrons) flew to their breeding territory, the Eurasian Teals (Anas crecca), Northern Pintails (Anas acuta) and the Eurasian Wigeons (Anas penelope) gather in large flocks on the lake bed. 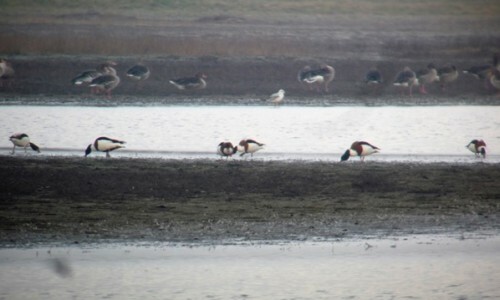 This year in early spring we observed a record numbers of Shelduck (Tadona tadorna). 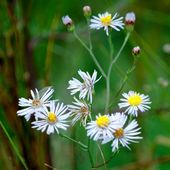 They were feeding and resting on the higher areas where the reed-bed was shredded in the southern part of Böddi-szék. Among the waders, we observed a few hundred Northern Lapwing (Vanellus vanellus) and a few dozen Common Redshank (Tringa totanus) and Eurasian Curlew (Numenius arquata). 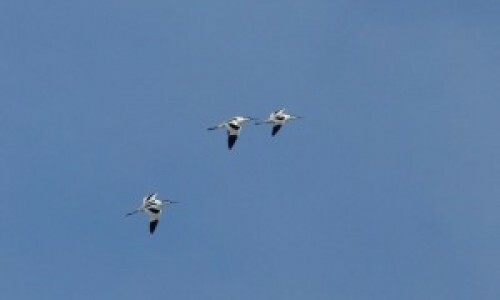 In March, the Pied Avocets (Recurvirostra avosetta) have also arrived.